I’ve been running Linux on the desktop for decades. When I was starting with it, Linux was, comparatively, harder to use than the GUI-based operating systems then available from Apple and Microsoft. That was then. This is now. Today, Linux, especially such distributions as openSUSE, Ubuntu and, my favorite, Linux Mint, are just as easy to use as macOS and Windows. And they don’t have the security bugs. What’s that? You don’t mind dealing with a few bugs? Well, on the latest Patch Tuesday, as Woody Leonhard put it, an “enormous number of patches spewed out of Microsoft this month, with two ponderous cumulative updates.” Every month, we see a new flood of critical Windows updates. Maybe updating Windows is your idea of a good time. It’s not mine. As for Apple, a “shameful” security flaw was discovered in macOS last fall, and the malware rate for the OS went up 270% last year. If you still think Macs are secure, you haven’t been paying attention. OK, so you’re sold on the security factor, but you still don’t want to commit to an OS that doesn’t run your favorite applications? Nowadays, the alternatives that are available are excellent. For everyday work, you can substitute LibreOffice or even Microsoft Office Online for Microsoft Office, use Gmail instead of Outlook, and you’re good to go. I know, I know: “Using Linux is just too hard!” Please. The Linux desktop hasn’t been hard to use for ages. You can go weeks — months — without touching a shell. I love Linux Mint with the Cinnamon interface. There are many reasons I use it on my day-to-day work desktops. But you know what one of the biggest reasons is? It’s easy. If you know how to use a WIMP (windows, icons, menus and pointer) interface — and if you’ve used a computer in the last 20 years, you do — then you can run Mint. But you still resist, right? What is it now? You’ve heard that it’s hard to install? No, actually it’s not, and that argument is rendered even less relevant by this: You don’t have to install Linux. You can buy a PC with it already installed. For example, Dell — yes, Dell — offers a dozen different high-end PCs with your choice of Ubuntu or Red Hat Enterprise Linux (RHEL). You can also get great Linux-powered laptops and desktops from System76 or ZaReason. 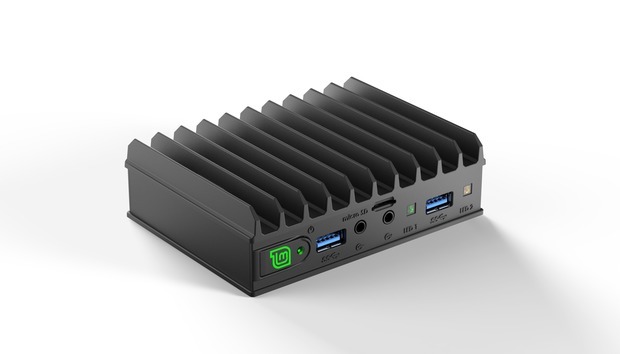 If you can wait a bit, you can also get Mint’s own mini-Linux system, the MintBox Mini 2, when it ships in June. I think you might like it. It will have a quad-core Apollo-Lake Intel Celeron J3455 with embedded Intel HD Graphics 500, 4GB of RAM, a 64GB SSD, HDMI graphics, a Mini DisplayPort, two USB 3.0 ports, audio and micro jacks, and a microSD slot. All right, I see that you’re hard to impress, but this all comes in a box that’s about the size of a coffee cup. And it’s silent. No fans or movable parts. None.